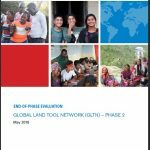 What is a Land Tool? 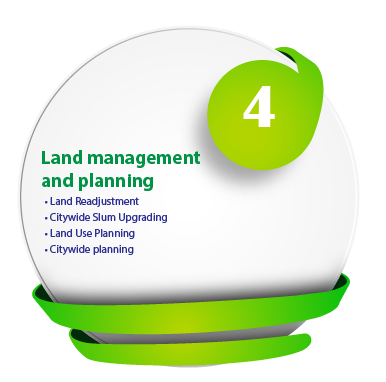 A land tool is a practical way to solve a problem in land administration and management. It is a way to put principles, policies and legislation into effect. 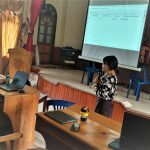 The term covers a wide range of methods: a simple checklist to use when conducting a survey, software and accompanying protocols, training modules, or a broad set of guidelines and approaches. 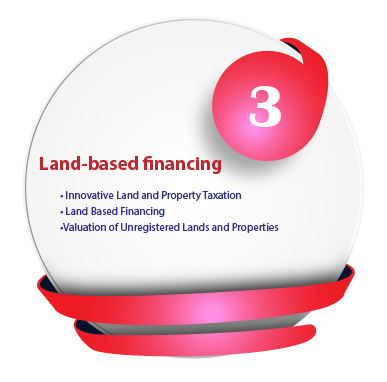 The emphasis is on practicality; users should be able to take a land tool and apply it or adapt it to their own situation. Land tools may complement each other. 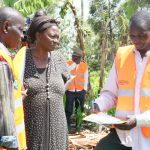 For example, one tool may give overall guidance on how collect data on land use, while another may give detailed instructions on how to assess whether the different needs of women and men are taken into account. 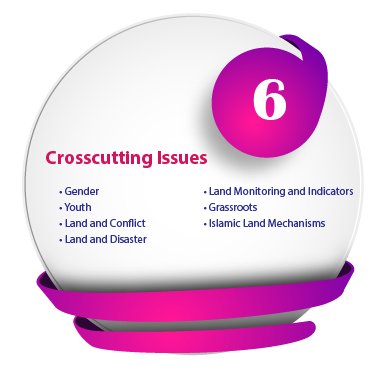 What are the features of pro-poor gender responsive land tools? Affordable – The overall cost of the tools should be affordable for both the poor (if they are required to pay user and maintenance fees) and the government or other body that manages the tool. 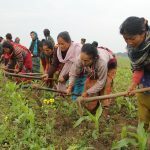 Equitable and gender-responsive – The land tools should address everyone’s needs fairly, while paying particular attention to inequalities faced by women in comparison to men. 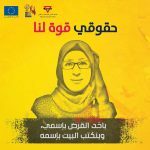 Pro-poor – The tools should aim to reduce poverty; they should take the situation and needs of poor people into account and give them a voice in decisions. Sustainable – It should be possible to implement the tool in the future without large-scale external inputs. Where possible, they should be self-financing through fees or taxes. Systematic, large-scale -The land tools should be usable at a large scale, be it city-wide or across a whole country, and not just have a one-off, localized use. That means they must be flexible enough to deal with a wide range of situations and can be replicated easily at minimal cost. 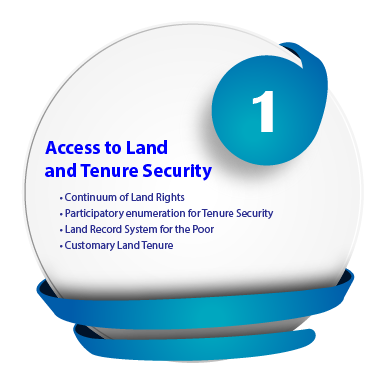 Governance – The process of tool development and implementation should take into account how decisions are made regarding access to and use of land, how those decisions are implemented, and how conflicting interests in land are reconciled. Key elements of this include decision-making conflict resolution, with an emphasis on the process and outcomes. 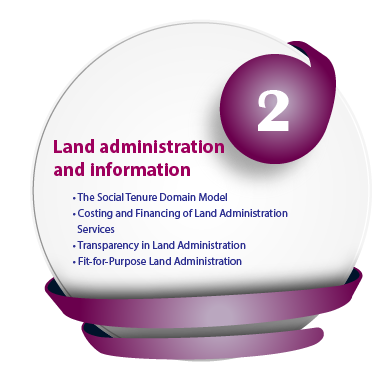 Subsidiarity – Land tools must be sensitive to local situations and needs, and applicable at the lowest appropriate level of authority, whether by the community or at the lowest level of local government. 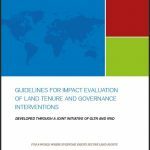 What are the land tools developed by GLTN? 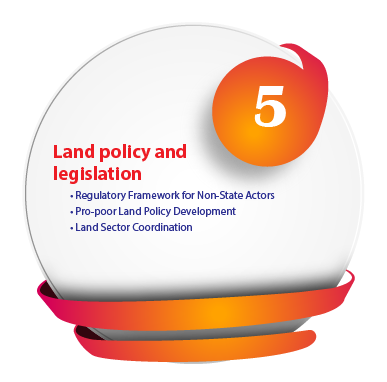 GLTN land tools can be categorized in areas of work and crosscutting issues.